Welcome to Porsche El Paso, the newest authorized Porsche dealership in America. Porsche El Paso is your home in West Texas and Southern New Mexico for the world’s most iconic sports cars. Whether you are looking to lease or purchase a new or pre-owned 911, Boxster, Cayman, Panamera, Macan, or Cayenne, or to have your Porsche serviced by our factory-trained technicians, we are ready to earn your business in a friendly, no-pressure environment. Porsche El Paso is also proud to offer genuine Porsche Driver’s Selection and Tequipment lifestyle items and accessories as well as Porsche Classic parts for your prized possession. 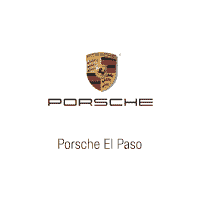 We invite you to visit our state-of-the-art 12,250 square-foot exclusive Porsche facility conveniently located on the west side of El Paso off I-10 at Paseo del Norte. Get ready, El Paso: Porsche is back!